WHATEVER THE PUNCTURE, BRIDGESTONE DRIVEGUARD KEEPS YOU GOING. DriveGuard Winter helps protect you against all types of punctures that are hidden on winter roads. It doesn’t matter whether an icy piece of glass slices the outside edge, or a nail poking through the snow pierces the centre tread— DriveGuard Winter tyres will help you safely continue driving for 80km at up to 80 km/h. They are lurking on the side of the roads. They are sitting in the middle of the motorway. They are just waiting to hold you up and make your life difficult. Many types of punctures are out there, and there is one waiting on the road with your name on it. Thankfully, with Bridgestone DriveGuard tyres, there’s no reason to be stressed. Designed for all passenger cars, the innovative Bridgestone DriveGuard technology allows you to maintain control after a puncture, and safely continue driving for 80 km at up to 80 km/h, until it’s safe to either repair or replace your tyre. Bridgestone DriveGuard is the ideal companion for just about any situation on the road — helping you stay safe and allowing you to continue your journey without losing time and offering you peace of mind. Available for most cars equipped with TPMS. 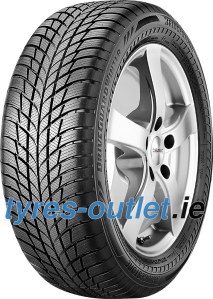 Offering comfort and outstanding control in all winter conditions with no compromise compared to conventional tyres. Providing you peace of mind for virtually all types of tyre damage. Imagine what it’s like to be driving, when suddenly the tyre pressure indicator on your dashboard lights up. A few moments earlier, you drove over a nail and now your tyre is losing pressure. Bridgestone DriveGuard tyres are specifically engineered to be able to take a puncture and keep you moving. Their supportive and tough reinforced sidewalls help ensure your mobility and support the entire weight of your car. Thanks to our proprietary patented high-tech cooling fin design, Bridgestone DriveGuard tyres redistribute heat and friction after a puncture, so you can keep driving for 80 km even after a complete loss of air pressure. Unlike conventional tyres, you are able to maintain vehicle control with Bridgestone DriveGuard. You can continue driving safely for 80 km at up to 80 km/h, until you reach your destination or a safe place to replace your tyre. 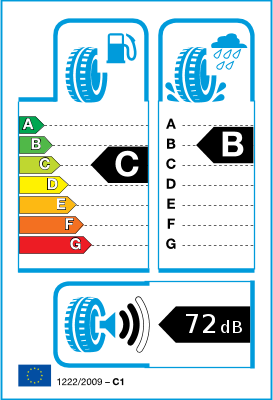 TPMS is an electronic feature designed to monitor the air pressure inside the tyre. The system then transmits a signal to a receiver in the car. If the pressure drops below a certain set level, then the car’s onboard display alerts the driver.